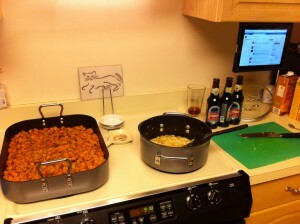 My first beer pairing dinner went off fairly well. The Butternut Squash Soup was well received by a number of guests, but the recipe leaves something to be desired. 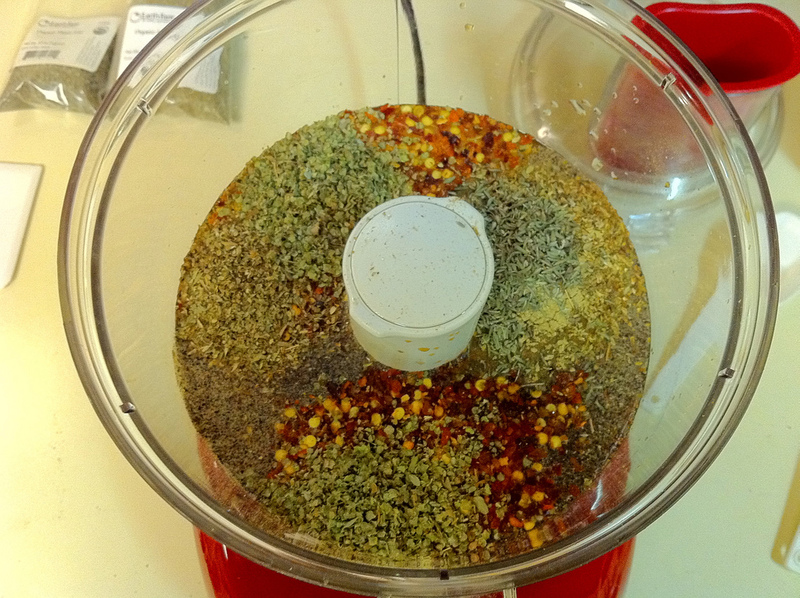 It is missing quantities of some of the ingredients leaving you guessing, the directions skipped steps, and directions added ingredients. But, I made adjustments (including adding a whole another squash to reel in the ginger flavors) that turned out a very good soup in the end. The soup freezes very well for enjoying on another cold winter evening. I enjoyed Bison Brewing’s Gingerbread Ale with the soup, but it should be noted that the temperature of this beer affects the spice flavor so for more of the spices you should have it around 50°F. The Smoked Trout and Green Beans has the easiest dish in this meal other than the S’mores. 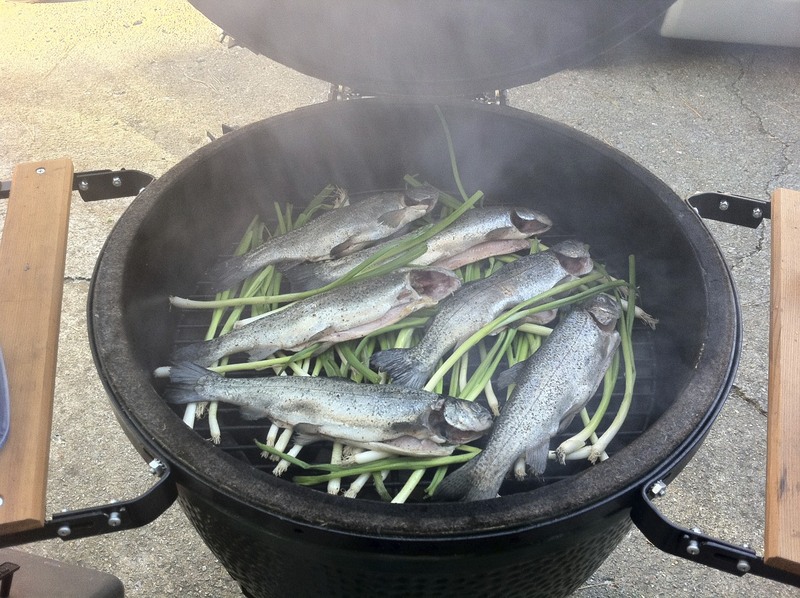 The green onions used in the recipe don’t impart any noticeable flavors to the trout and service as a source of moisture in the smoking process. 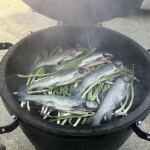 I was able to debone six trout in just a few minutes and keep the fish warm on steaming tray while guest arrived. The Czechvar (Budweiser Budvar) was well received including one guest adding it to their shopping list so I sent some of it home with them. The Rotisserie Chicken Salad recipe from Stephen Beaumont’s book was very good. 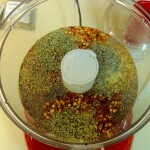 The vinaigrette is just wonderful and I will be preparing this recipe anytime we are looking for a good vinaigrette. The Bell’s Oberon Ale was just okay as it was not fresh enough given it had been stored at room temperature by the retailer. I should looked for some kept in a cooler. The wheat pale ale flavors were a good balance with the salad, which had flavors all over the place. 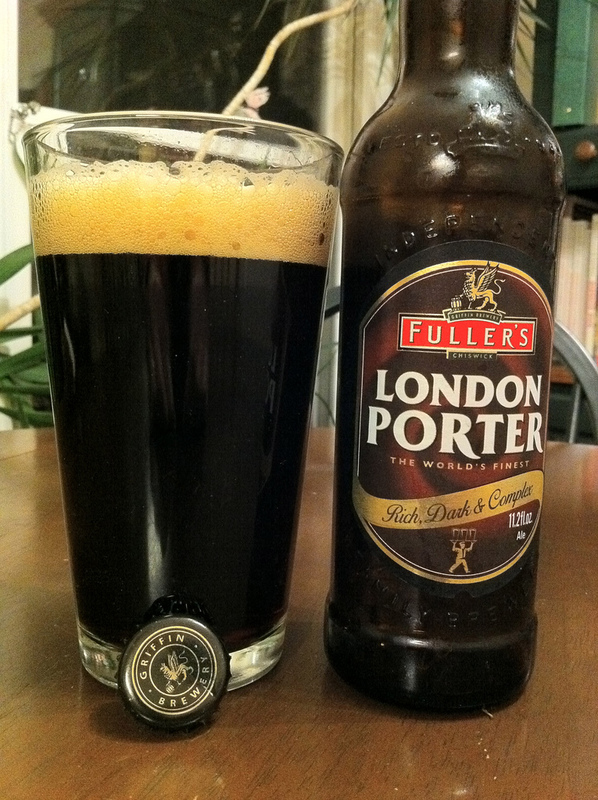 I was too busy and I didn’t get a chance to taste the Camembert, Fontina, and Gorgonzola cheeses during the dinner with the beer, but one guest indicated the cheeses were the best food-beer pairing of the dinner even though she didn’t care for the Fuller’s London Porter. 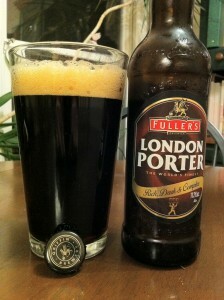 The Fuller’s London Porter is one my favorite beers and it almost always in my refrigerator. The smoky chocolate flavors in this beer is what I like about it. Everyone surprised me with the desserts by all going for the S’mores. I really enjoyed the Raspberry Crisps. The raspberries would have been easier to handle if they hadn’t be so frozen causing the ingredients to not mix easily. The Cantillon’s Rosé de Gambrinus caused the reaction that I expected from the guest that were not use to the Lambic style of beer, but it is still a very tasty beer and a sample was a right amount. The night before the dinner, I tried the Le Coq Imperial Extra Double Stout 2001 to see what flavors it would be bias towards given all of the variations I had seen in the reviews for the 2001 vintage. Well, I panicked, because the initial aroma was worcestershire! I had Lindemans Framboise as a backup beer, which pulled into the pairing. I let everyone try the Le Coq Imperial Extra Double Stout 2001 to get their reaction and I indicated a beef pairing would have been the right thing for it. The Lindemans Framboise and Cantillon’s Rosé de Gambrinus allowed everyone to see the extremes of this style of beer and they both paired very well with the desserts. This entry was posted in Pairings by Brian Allen. Bookmark the permalink.